Home equity loans are a type of loan which requires your home to be used as collateral instead of any other asset such as your car or other kinds of property you may own. A home equity loan or home equity line of credit is similar to taking out a second mortgage; if you cannot make repayments, you could lose your home! What are the main types of home equity loans? A home equity line of credit loan acts just like a second mortgage in that you have to use your home as collateral. The unique feature of a home equity line of credit is that it works like a credit card. This means you only pay interest on the money when you actually use the line of credit. If, for example, you borrow £100 line of credit, you will only pay interest on this £100 when it is used. 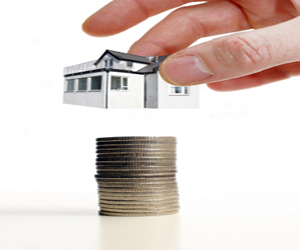 In a second mortgage, you are offered a fixed amount of loan which you are required to repay within a fixed period. There are a few major differences between these two types of home equity loans. Choosing a home equity line of credit loan over a second mortgage loan or vice-versa should be a careful decision on your part. The correct choice could save you a considerable amount of money in the long run. Interest rates: Generally both types of home equity loans—a home equity line of credit loan or a second mortgage loan—will enjoy a lower rate of interest than other types of secured loans. Flexibility: A home equity line of credit loan, in particular, offers you a great deal of flexibility. You can borrow any amount of money whenever it is necessary. If you need money to pay off bills in stages or instalments (an example would be to pay for a home extension or a wedding) choosing a home equity line of credit is an ideal solution. Tax advantages: However you may choose to use your home equity loan, generally the interest you pay on the first £100,000 you borrow is tax deductible. Credit history: Even if you have a poor or bad credit history, it is still possible to secure a home equity loan as you are using your home as collateral. What are the disadvantages of home equity loans? Of course, the biggest concern is that you could lose your home if you are unable to make repayments. You may have to bear the burden of additional costs including the cost of insurance to cover repayments should you face difficulties. What can home equity loans be used for? Even luxuries such as televisions! To calculate how much you can borrow on a home equity loan, lenders generally extract the value of home equity by subtracting the current value of the house and the mortgage. So, if the value of your home is £300,000 and the mortgage is £250,000, a home equity loan will leave you with £50,000 worth of ownership of your home only. Do you have equity in a house or property? How much money do you make each year? How much do you already owe in debts? Clearly, if you need some collateral to put against a loan, it's wise to consider a home equity loan or home equity line of credit.